Powys Mathers, Love Night. 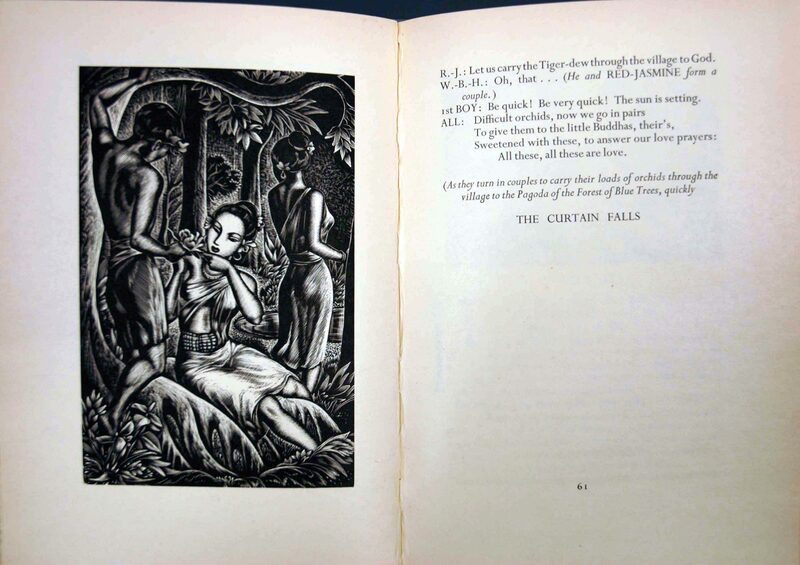 London: Golden Cockerel Press, 1936. Special Collections, Auckland City Libraries (NZ). The English poet John Keats was a favourite of JBW's; another was A. C. Swinburne (1837-1909). The white-line engravings for Swinburne's Dolores (Notre-Dame des Sept Douleurs) are remarkable examples of JBW's mastery over the burin. As he well knew (and wrote about), there could be no accidental or haphazard conceptions; the end result as clean and sharp as the point of the tool used. Dolores was a commissioned work, printed by Stols for the private Dutch collector Baron Emil van der Borch van Verwolde. 'Dolores', from Algernon Charles Swinburne, Dolores. First edition. 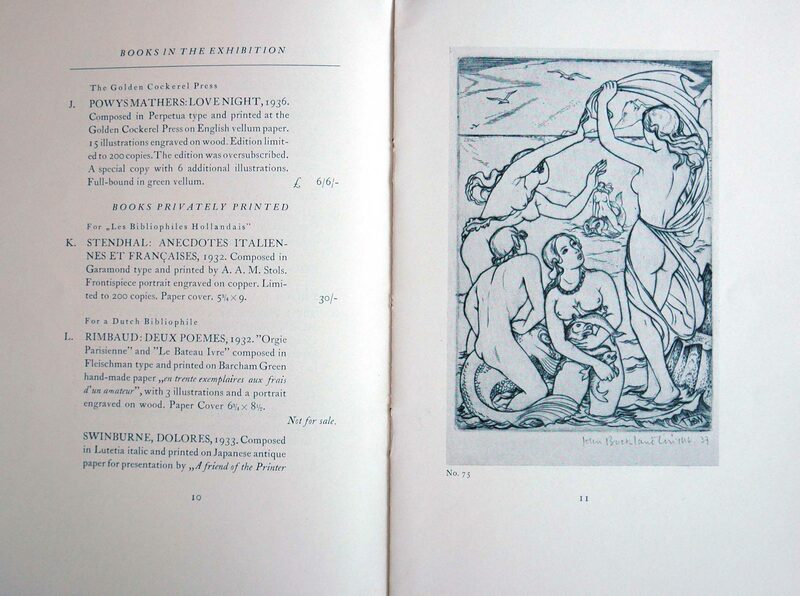 Privately printed by A. A. M. Stols, 1933. Private Collection. JBW wrote in 1934: 'If I have any conscious aims they are a plastically expressive line, richness and depth of content and impeccable composition.' He was always fine-tuning his craft, trying to achieve both mastery and a desired result. 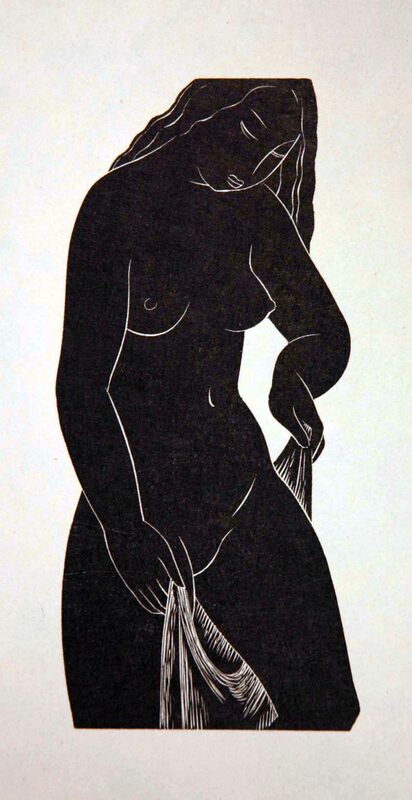 This image, from the second edition of Dolores, was printed from one of the original blocks that were further worked and cut away to produce silhouetted figures. 'Dolores', from Algernon Charles Swinburne, Dolores. Second edition. Privately printed by A. 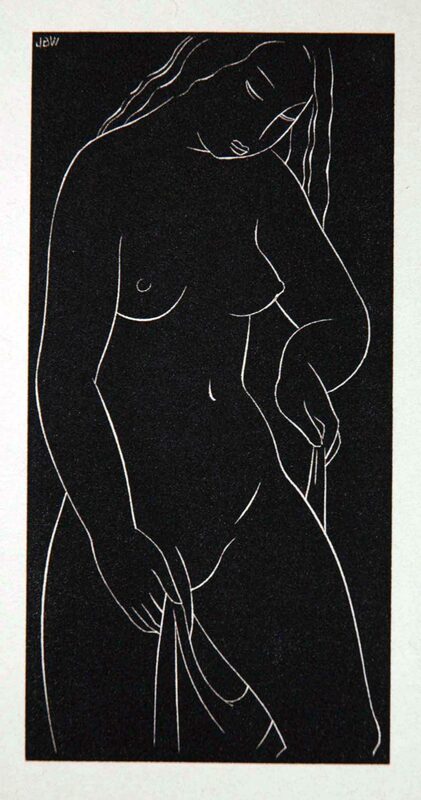 A. M. Stols, 1933. Private Collection. In 1937, Dulau and Co., mounted this exhibition in London to highlight JBW's work. Here are the catalogue details of Love Night by E. Powys Mathers (1892-1939), translator and poet, and editor with J. C. Madrus of The Book of the Thousand Nights and One Night. There were three separate issues of Love Night, totalling just 200 copies. It remains a scarce JBW book. 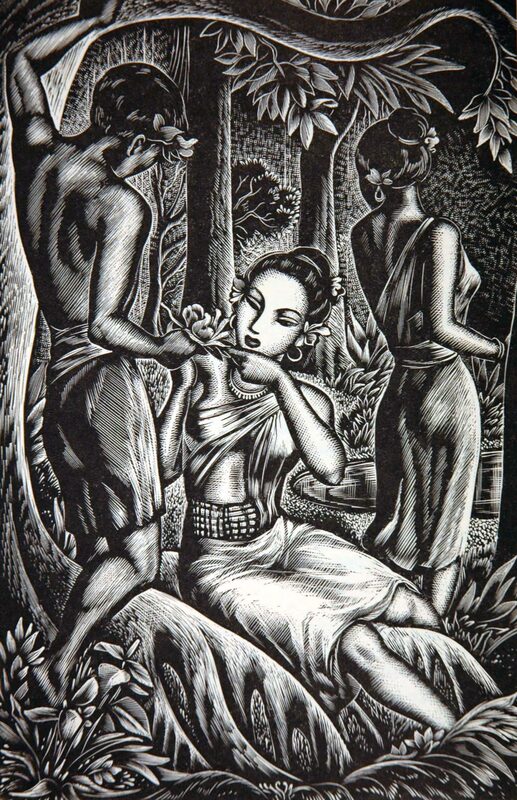 Catalogue of Engravings and Illustrations by John Buckland Wright from 1929 to 1937. London: Dulau and Co., 1937. Private Collection. © Special Collections, Library, University of Otago, New Zealand.